7 years ago my mum and I started a parent and toddler group called ¨Little Angels¨ at our church. Although fairly successful in its original location we soon decided to move it to a new housing estate where there were many young families. Within months the little toddler group was quickly overwhelmed and we soon had to put a second session on. Soon after this, we handed the growing work on to a new team who were able to invest more into the potential growth. Because today this little ministry into the community has gone further than my mum or I could ever have taken it, thanks to an awesome group of volunteers with vision and willingness to follow the voice of God. They now run multiple sessions each week, reaching out to hundreds of people from the local community. Whilst toddlers play, parents are asking for prayer, experiencing the presence of God and receiving physical and emotional healing as they are drawn to Jesus emanating through the “Little Angels” team. I am overwhelmed at how this ministry has grown and what an impact it is making in lives, family and our local community. When God calls you to start something, He may not ask you to finish it. Sometimes it’s easy to let go of things that you pioneered or ministries you were once involved in. God gives you new direction and you realise you have to drop what’s in your hand to then pick up the new mantle. But I also understand that sometimes it can be hard to let go and move on from a season. Rather than make the nest uncomfortable, sometimes God has to throw you out of the nest into your next season. No; God knows your potential because He made you. He has assignments for you to fulfil. 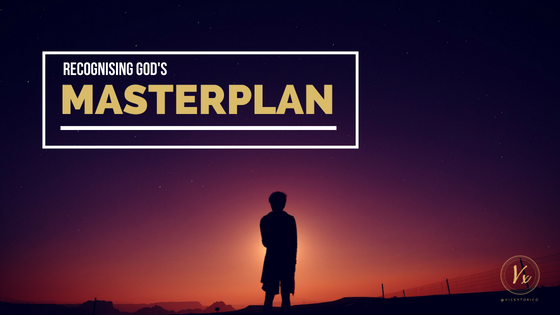 Trust Him in whatever season you’re in and recognise God’s masterplan. Every person is precious, necessary & needed, but no one person is more important than the next. We all have a part to play. Always look for the bigger picture. I am so thankful that we were able to hand this “Little Angels” ministry on to someone who not only saw our vision but took it, expanded it and went beyond the expected to the extraordinary. We are all here to bring God’s Kingdom to earth. Let’s make sure we don’t make it about our own fulfillment but about our God-given assignments. Previous Believe & Confess For Kids!